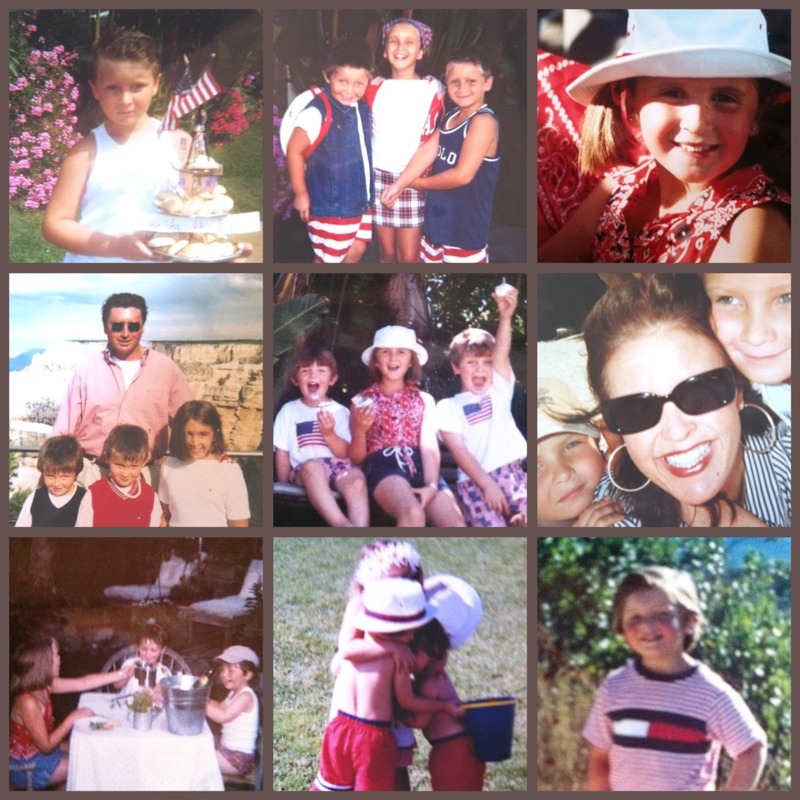 Being a designer, I so enjoyed dressing and styling my children's wardrobes when they were young. 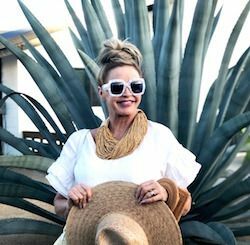 Still in my reflective and sentimental mood, I am once again linking up with the beautiful Lindsey at the Pleated Poppy, for What I Wore Wednesday. 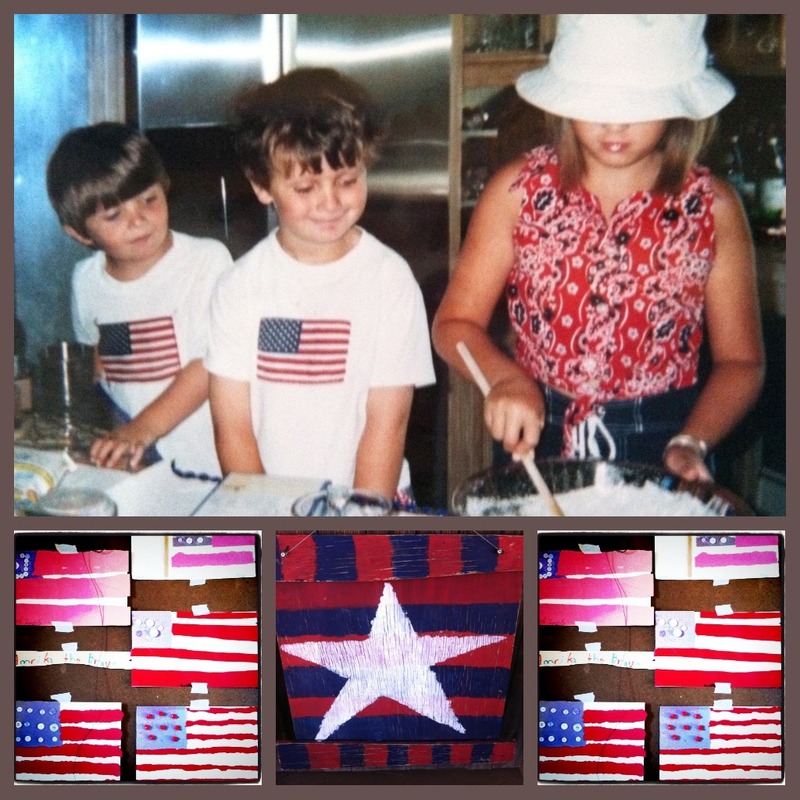 This time though, I am taking some creative license and taking a look back at what our family wore...4th of July through the years. 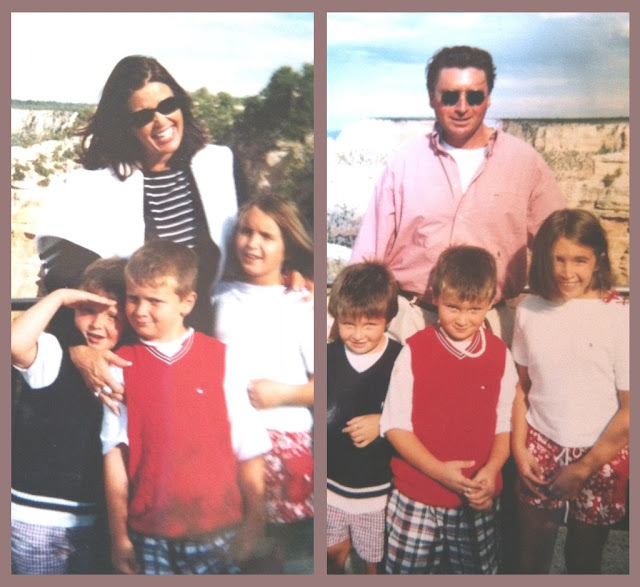 When my children were very young I made the decision to dissolve my business and parent full time. So I poured my creativity into my house and children. We had outfits and ensembles for every occasion and adventure. I have always been committed to making my life, and theirs, My Art! Your pictures tell a beautiful story of your family. Thanks for sharing it with us. What a great story! I LOVE this! You look like such a fun mom! You have a beautiful family, they grow up fast though, don't they. 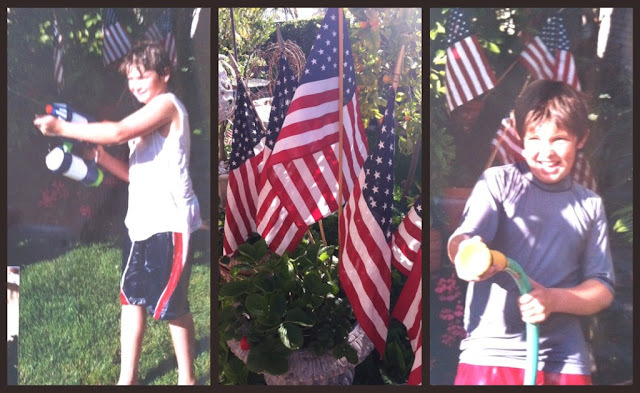 Your kids clothes are very patriotic! LOVE the matching outfits! I do the same with my kids! Such a sweet post! 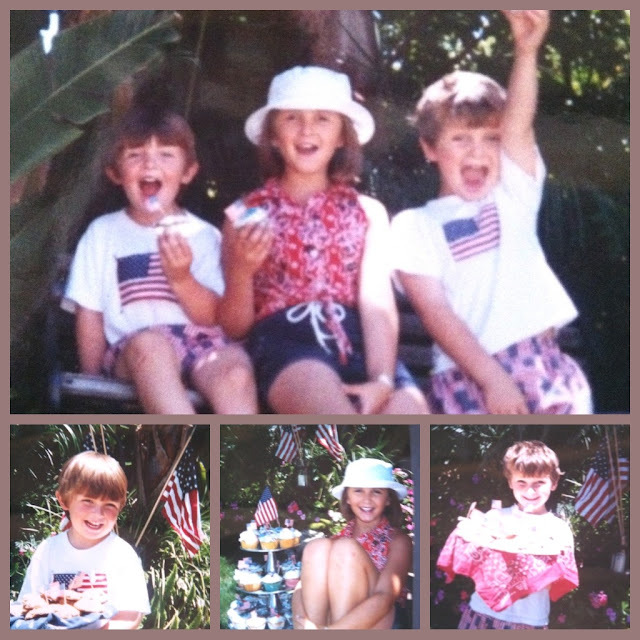 I love celebrating the 4th & it looks like ya'll do too! Love it. Makes me want to go through all my photos and celebrate all over again. I have 5 children and use to sew outfits all the time.